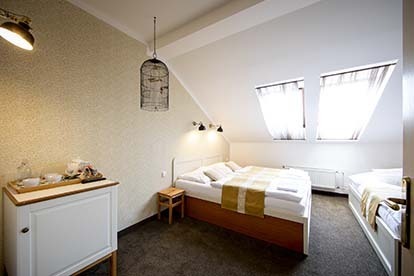 Enjoy your stay in a quiet neighbourhood close to the city centre, only 10 minutes from Wenceslas Square. All rooms are newly renovated in a bohemian design. Great value for money. 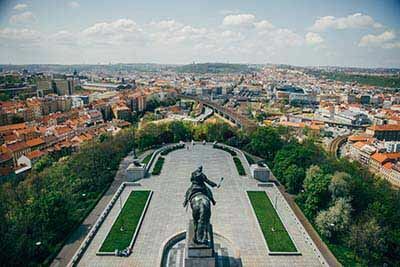 An authentic neighbourhood of Zizkov, 15 minutes to the city centre and main train station. Newly refurbished stylish room with comfy beds and quirky details - singles, twins, doubles and triples. 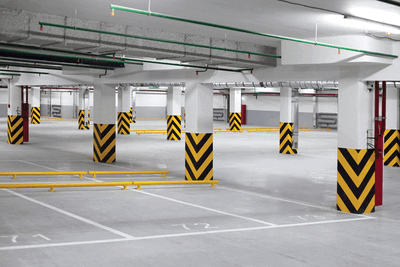 Safe and secure parking in the underground garage located right in the hotel. Booking information here. "Worth it. Very nice place. 20 minutes walk to city center. Friendly atmosphere. nice rooms." Louis from the USA, July 2018. "Worth it. Very nice place. 20 minutes walk to city center. Friendly atmosphere. nice rooms. "Louis from the USA, July 2018. "Exceptional. Highly recommended. Good location, nice value for money. 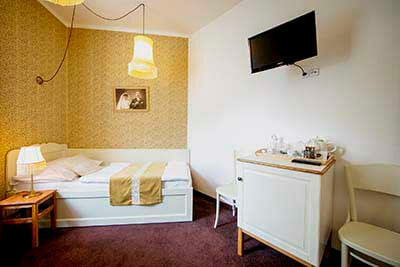 The rooms are spacious, clean and cosy." Karen from Germany, May 2018. "Exceptional. Highly recommended. Good location, nice value for money. The rooms are spacious, clean and cosy. "Karen from Germany, May 2018. 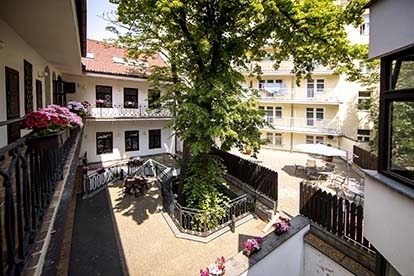 "Great place to stay in Prague! Very nice hotel! I liked their art-nouveau rooms! So nice and original." Mem from Switzerland, March 2018. "Great place to stay in Prague! Very nice hotel! I liked their art-nouveau rooms! So nice and original. "Mem from Switzerland, March 2018. "Wonderful. Close to the centre, plenty of shops, restaurants around. " Balazs from Hungary, January 2018. "Wonderful. Close to the centre, plenty of shops, restaurants around. "Balazs from Hungary, January 2018.